The Danzan Ryu system of jujitsu provides an incredibly practical self-defense training which allows an individual to focus on controlling rather than escalating a conflict. It is a complete, effective training for children, women and men. 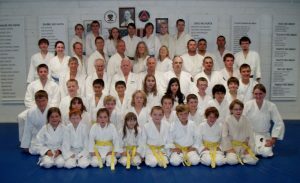 Whether for adults or kids, training at Medford Judo emphasizes practical skills. By beginning with falls and escapes, students immediately learn techniques they could easily apply in a “real world” situation. Those early techniques continue to be developed while adding a wide range of advanced arts allowing students a full range of self-defense options. The basic curriculum of Danzan Ryu training begins with simple stretching and strengthening exercises. Next, students learn rolls and falls that allow them to be thrown safely. The system is arranged into lists of techniques, called “boards,” which teach the basics of balance, leverage and momentum. Students begin with Yawara (escapes and holds) and build from there. The dojo has two rooms equipped with spring-floor mats. 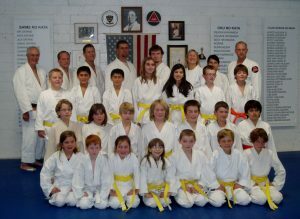 Medford Judo also provides opportunities to learn from experts in other martial arts. Adult classes are held at 7pm-9pm every Tuesday and Thursday. There are also frequent Sunday workouts on a more flexible schedule. 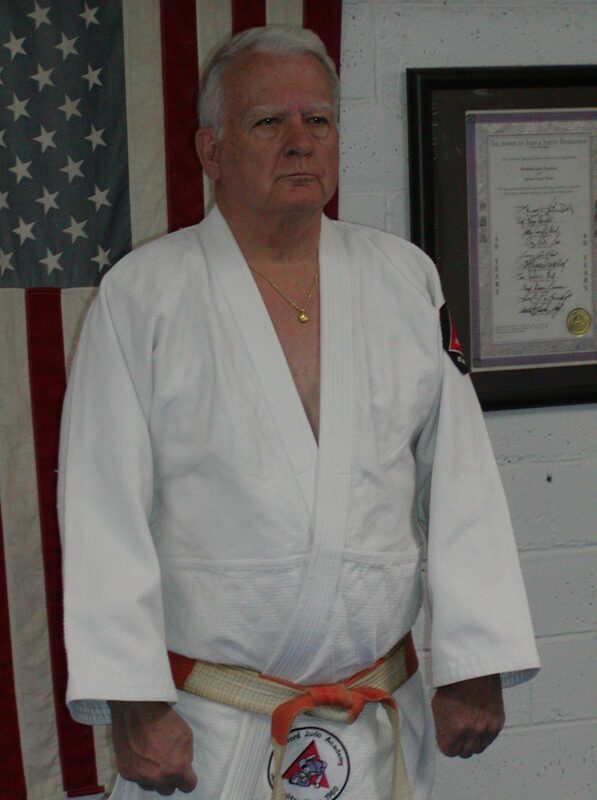 The sensei for the adult class is Professor Larry Nolte, School Head, Judan (10th degree black belt) and a 2013 inductee into the Danzan Ryu Hall of Fame. 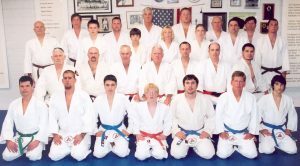 Professor Nolte has been with Medford Judo Academy right from its beginnings in 1960. Several black belts assist with instruction in the adult class, resulting in an excellent student-teacher ratio for personalized training. A typical class begins with a set of basic warmup and strengthening exercises. From there, the focus of the class varies from session to session to address the full range of diverse techniques incorporated in Danzan Ryu. There are often opportunities to focus on individual needs as well as practicing with the larger group. Students advance in rank at their own pace according to their abilities and efforts. (See rank requirements list.) As they advance, they have the opportunity to pass their knowledge along to the students who follow. 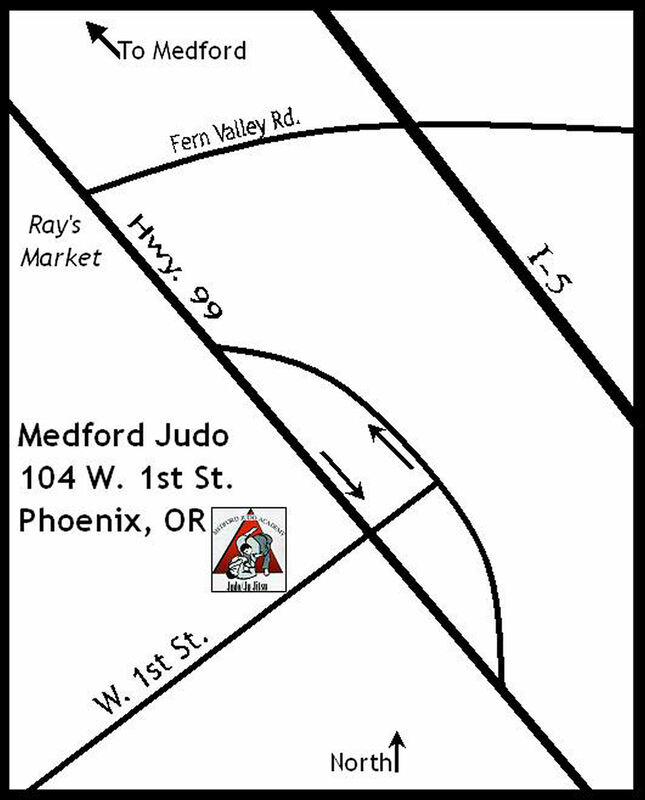 Medford Judo Academy provides high quality traditional training in an atmosphere of comaraderie. Kids classes are held at 5:45pm- 6:45pm every Tuesday and Thursday. The sensei for the kids class is Professor Troy Shehorn, Rokudan (6th degree black belt). Professor Shehorn began studying at this dojo when he was 12 years old. Professor Gary DeGarmo, Rokudan (6th degree black belt), is a steadfast presence in the kids class. Several other students from the adult class give their time to train our kids, providing an excellent student-teacher ratio for personalized instruction. In a typical class session, kids start with warmup exercises followed by training and practice in various arts in small groups. Before class is over, the kids usually have a chance to play games with the full group which build skills and confidence. 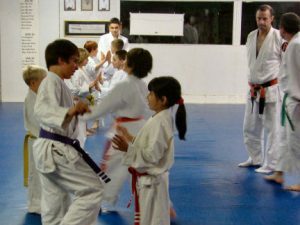 The training can be physically demanding at times, and our kids class is not particularly geared toward younger children. Girls and boys from about 8-9 years old and up will benefit in an environment which is both disciplined and fun. 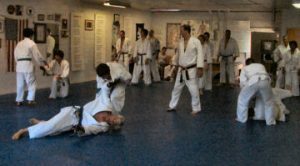 Medford Judo is one of the most affordable martial arts training opportunities around because it is a non-profit club rather than a business. Unlike many dojos, there is no fee for rank advancement tests below black belt. Discounts are available for additional family members. Membership is required with the American Judo & Jujitsu Federation. The Medford Judo Academy is also a proud member of the Pacific Jujitsu Alliance, Shoshin Ryu Yudanshakai and the Kilohana Martial Arts Association. MJA members are encouraged to join these Danzan Ryu organizations. Discounts are provided for paying multiple years in advance. Come see what we’re all smiling about – you can even try a class for free!